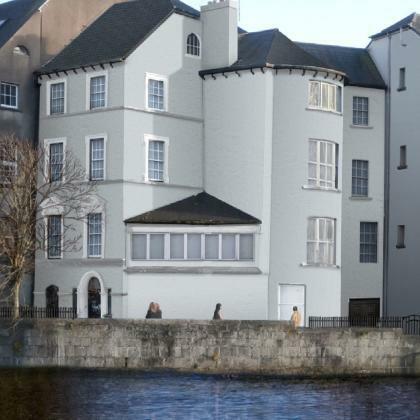 Follow the Transformation: Donate to The Boole House of Innovation and support historic renovation at 5 Grenville Place on Cork's North Mall. 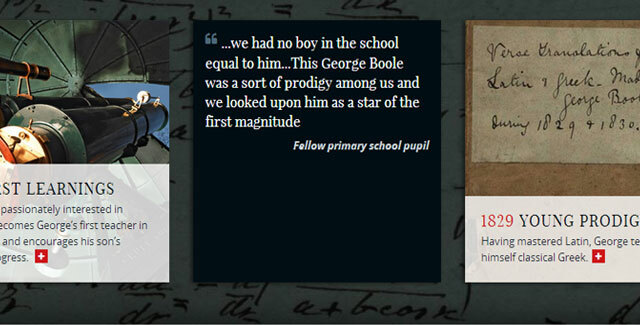 George Boole’s inventions in mathematics, logic and probability heralded the digital age. 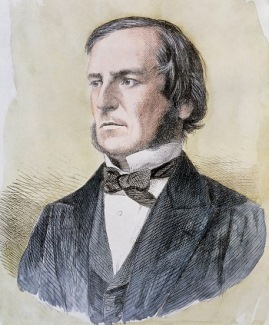 Next time you use your computer or turn a switch, remember George Boole (1815-1864). 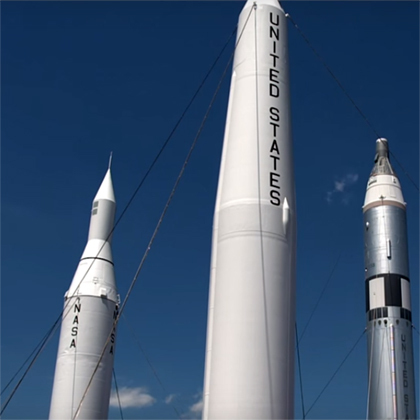 Use the asterisk to discover details about his fascinating life and achievements. 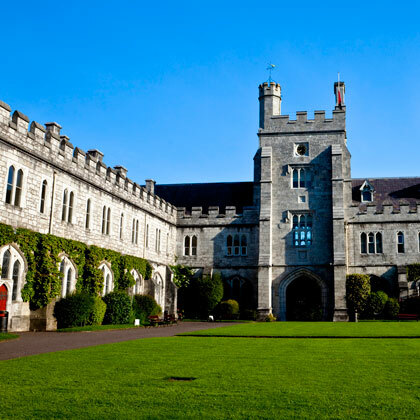 In 2015 UCC celebrates Boole as one of our own. And we celebrate the groundbreaking work he completed in his adopted city. 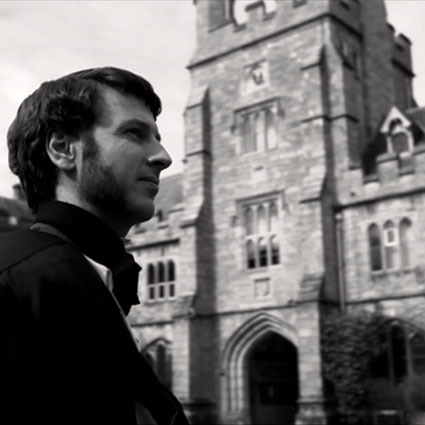 In 2015, University College Cork celebrated the bicentenary of George Boole, 1815-64. Born in Lincoln, Boole was a mathematical genius who was largely self-taught. His appointment as the first Professor of Mathematics at this college in 1849 provided the opportunity to develop his most important work, An Investigation of the Laws of Thought. 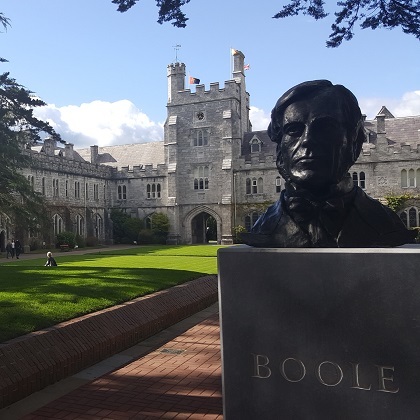 Boole is a pivotal figure who can be described as the ‘father of the information age’. His invention of Boolean algebra and symbolic logic pioneered a new mathematics. 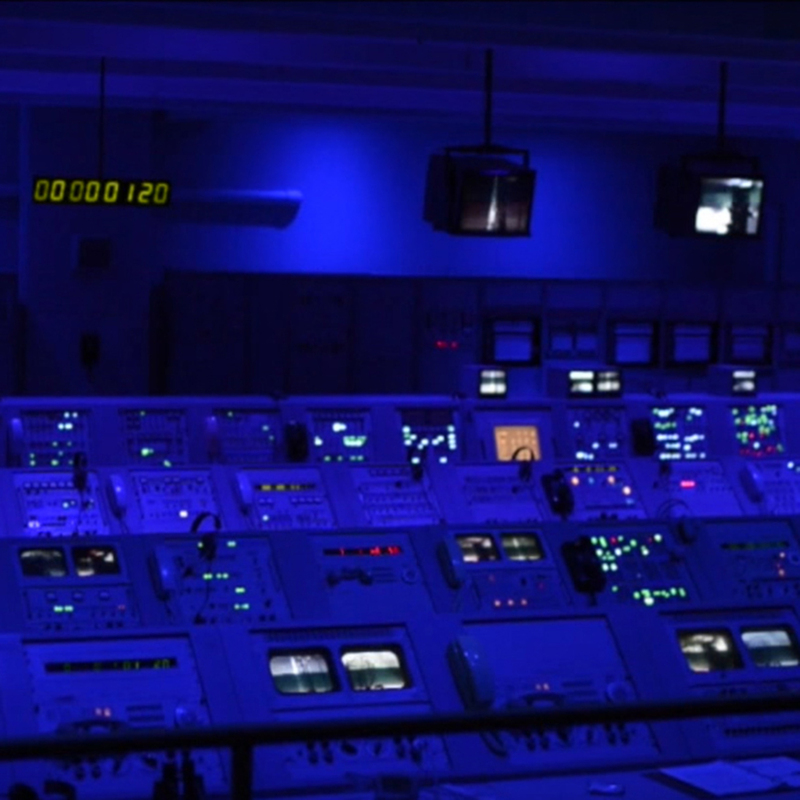 His legacy surrounds us everywhere, in the computers, information storage and retrieval, electronic circuits and controls that support life, learning and communications in the 21st century. 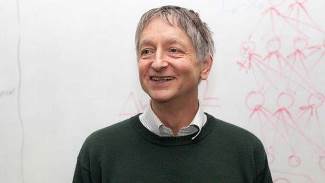 It has recently been announced that Prof Geoffrey Hinton (great-great grandson of George Boole) has won the Turing Award 2018 along with Yoshua Bengio and Yann LeCun - two other proponents of deep learning, a popular form of Artificial Intelligence (AI). This achievement is great news for the field of artificial intelligence and, in particular, machine learning. The Turing Award is widely regarded as the ‘Nobel Prize in Computer Science’. Such AI is increasingly used in products that people use every day - from smart speakers to Facebook. Deep learning is also seen as a promising, though not flawless, tool for the development of self-driving cars and other futuristic technologies. 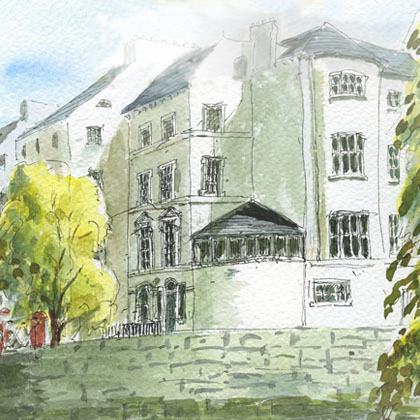 Through the George Boole Papers held in UCC Library , we get a great insight into life of an academic living in Cork in the nineteenth century. Boole was obviously a considerate family man and wrote frequently to his family in Lincoln as the collection of his personal papers show. On 17th March 1851, the feast day of St. Patrick (patron saint of Ireland), he writes to his sister Mary Ann and sympathises with her on her recent ill health. As is the Irish condition, he speaks about the weather and how it might interfere with his plans for the day. 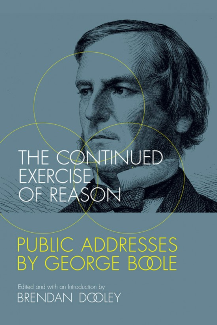 UCC will host the launch of new book: "The Continued Exercise of Reason: Public Addresses by George Boole (M.I.T. Press), Ed. Brendan Dooley" on Monday 1st October and all are welcome to attend. This new book contains lectures, many never before published and offers insights into the early thinking of the mathematician and polymath George Boole.